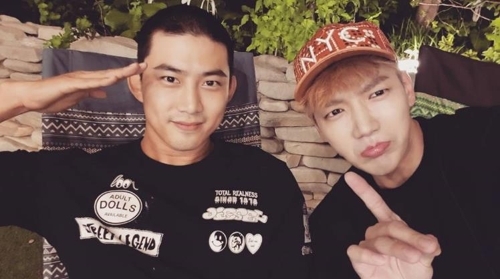 SEOUL, Sept. 4 (Yonhap) — Singer-actor Ok Taecyeon of boy band 2PM started his mandatory military service on Monday, according to his agency. The 29-year-old star gave up his American green card and has even received treatment for a spinal disc problem in order to serve as active duty. In Korea, all able-bodied men have to fulfill military duty for around two years. Ok’s final work before starting his military duty is “Save Me,” a TV thriller series currently being aired on OCN. He plays Han Sang-hwan, a resourceful high school student who joins a religious cult in order to save his girlfriend held hostage by the sect. I appreciate your work. Thanks for sharing such useful information. Military duty is great, it make you become men.Have a easy duty. Every time when I think to my duty service I see hundred of military. Could be a little stressing at begining.